While Mommy and Daddy take care of the baby, Amelia looks after each of her nine toys. She changes Big Ted's diaper, feeds Panda, and burps Blue Bird -- until there's only one toy left in the bed. Then it's bedtime for the real baby, and Amelia gets a turn with Mommy and Daddy. A clever adaptation of the famous counting rhyme by award-winning illustrator Jan Ormerod. 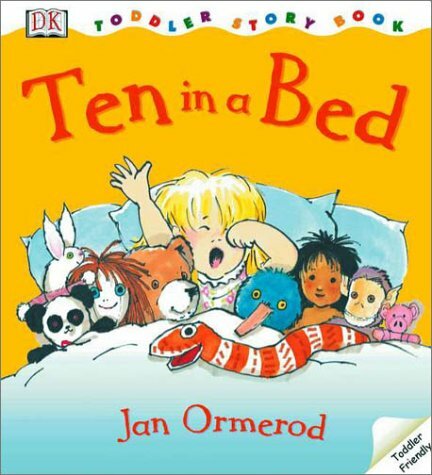 Ten in a Bed has special sturdy pages that are easy for small hands to turn and strong enough to play with.